I remember when I was younger, my mom made spaghetti and sauce from scratch for a childhood friend. She tasted it and pushed the food aside. My mom could see she was not enjoying it and asked her if everything was okay. She stated she had not tasted sauce like my moms and was used to her mom’s recipe. My mom asked her about the recipe; it was straight ketchup. I use this story to illustrate that everyone has different tastes. With that in mind, we turned to college students to sample various meal kits as an alternative to signing up for a meal plan or cooking on their own. Votes are in. Read on, for thoughts, comments, and opinion. While Plated and Blue Apron tasted the best, I don’t think most college students have 40 plus minutes to cook a meal with our busy schedules. Spoon University is geared toward college students with many items being microwavable plus the fresh fruit and snacks. And they are certainly comparable to the meals I get in my sorority house. I personally would add some additional spices to them. Hellofresh was my favorite in terms of the time it takes to prepare and the quality. Before signing up, I would definitely look on Groupon, RetailMeNot, and Facebook for coupons making it even more reasonably priced. I am not sure what is worse; realizing that all you have in your pantry is ramen and goldfish or dishing out the bucks for delivery every night. 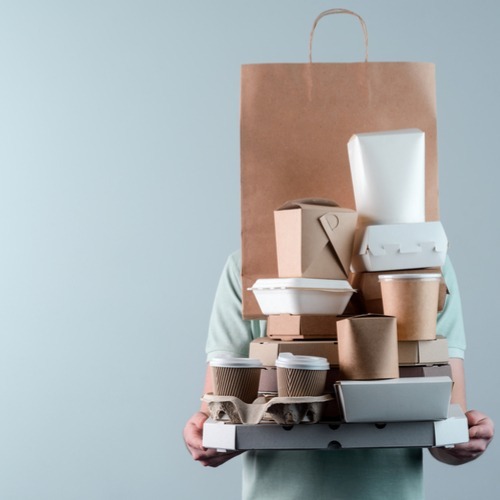 Meal delivery services are a great way to keep your kitchen stocked without taking one trip to the grocery store. Not to mention, there are so many options for vegetarians, meat-lovers or students who just want to eat healthily. Well, here it is folks, your go-to guide to meal kits from a college student’s (hungry) perspective. 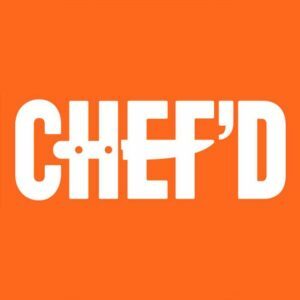 Chef’d offer meal kits from a variety of brands such as Atkins, All Recipes and Spoon University. I tried the Spoon University Meal Plan and an Atkins meal kit. The Spoon University Meal Kit came with a variety of 5 days’ worth of fresh produce (pears, oranges, apples,) and a variety of healthy snacks, 2 servings Carrot Cake Overnight Oats, 2 servings Pasta in a Mug, 2 servings Spinach egg and cheese wrap, 2 servings Israeli Couscous salad with vegetables, 2 servings Couscous with roasted vegetables and 2 servings Corn Tamales with salsa and sour cream. What I loved about Spoon’s meal kit is how the food came semi-prepared. I did not have to cook the couscous, making it a quick and easy meal. The spinach egg wrap was a delicious and easy breakfast that you cook in a mug, as well as the pasta in a mug. The corn tamales with salsa and sour cream were an amazing replacement for a delivery pizza after a long night out. From Atkins, I ordered a Cajun Blackened Salmon with Cucumber Relish and Mashed Cauliflower. The salmon was a little difficult to cook and the cauliflower just would not mash, but the cucumber relish was delicious. This was a good dinner meal for someone familiar with cooking fish. 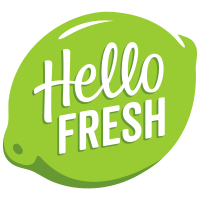 Hello Fresh has a first-time user Groupon and an extensive variety of vegetarian, seafood and meat meals. The box was delivered quickly and came with several ice packs so no worries if you are not home when it is delivered. I ordered the Sweet as Honey Chicken with snow peas over jasmine rice, Amazing Apricot Chicken with roasted potatoes and green beans and the Tropical Fish Tacos (tilapia) with mango cabbage slaw and chipotle crema. All three recipes took around 30 minutes each and came out so great! My favorite was the tacos, so so flavorful! (I’m partial to tacos though.) The Hello Fresh meals tasted well, fresh and healthy, without sacrificing flavor. These were my favorites. Students get 15% discount on any box subscription and every box they order. I ordered mine by purchasing from Groupon which was for three recipes to serve two (I had leftovers since it was just for myself) or a total of six meals. Hello Fresh also offers $30 off the first box. Just click on Hellofresh link. My Blue Apron box came on time with ice packs and cute packaging (they label their spaces and small items as knick-knacks.) There was an extensive menu, but I narrowed it down to the Ancho Chicken Chili and Dukkah Spiced Shrimp. On the real: Blue Apron made me feel like a fancy restaurant chef. The meals came out SO GOOD. However, they took very long, around 45 minutes each. Not for the faint-hearted. The Ancho Chicken Chili is tomato-based and the sweet potatoes make it really hearty. The servings were huge, I was eating chili for days. My favorite was the shrimp with Mediterranean seasoning and tahini and served with roasted cabbage and potatoes. I might still be salivating just thinking about it. Blue Apron had a special for $30 off my first meal delivery. Click here to get that offer. Plated has a great first-time user promotion and its delivery was quick and efficient, with a large box and plenty of ice bags. I ordered Beef Bolognese over Roasted Spaghetti Squash and Roasted Chicken Au Jus. Both meals were restaurant quality- I was seriously impressed with myself. However, they were a little difficult and took quite a long time- around 40 minutes each. The Breaded Herb Chicken was the easiest and tasted just like Chicken Française. Seriously. Plated does a great job of combining healthy dishes with sophisticated ones. You can save $25 off your first two orders by clicking here.